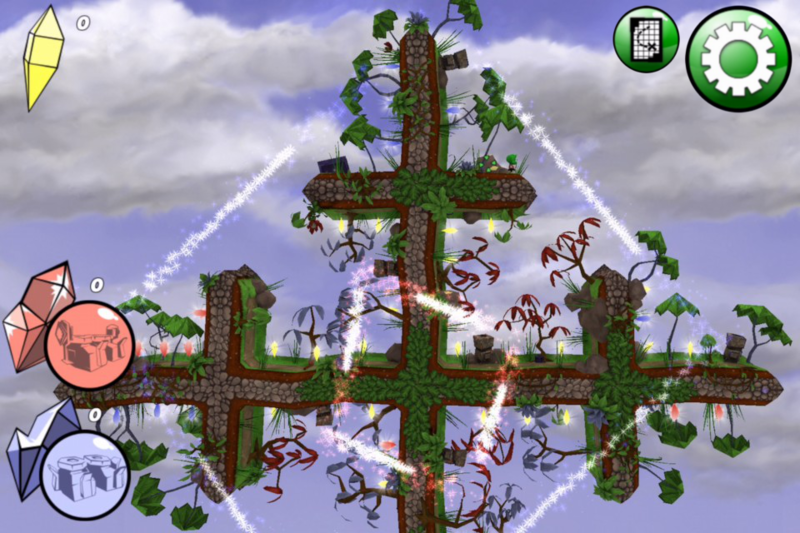 Help Blip collect all his lost crystals in a game where gravity changes with the twist of your wrist. 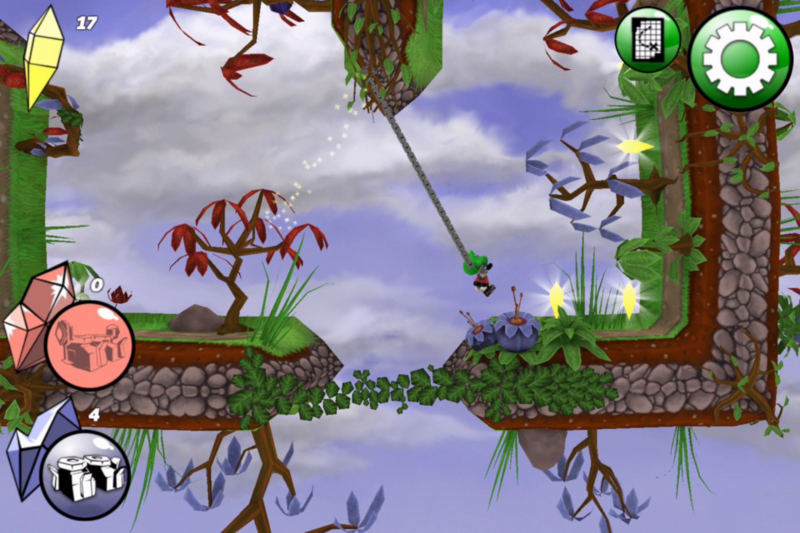 Solve puzzles and use Blip's many gadgets to finish the exciting and beautiful levels. Unlock new suits for even more crystal collecting goodness! 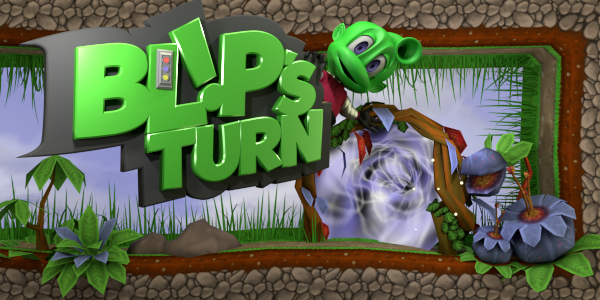 Blip's Turn grew from the idea of using the accelerometer capability of modern smartphones and tablet to turn or flip the entire game world. The world doesn't actually rotate but when you turn the device the gravity changes and Blip rotate with it. In addition to this unusual way of playing a game, a lot of work went into handcrafting each level with beautiful 3D environments. Gadgets like the Grabbaton Boots keeps Blip grounded while moving objects such as bridges are affected by gravity. Some gadgets use the very crystals your collecting, so using them wisely earns you more points at the end of the level. Unlocking suits gives you advantages when using gadgets or collecting crystals. The map mode allows you to plan ahead and figure out the best route. Lots of hidden crates and extra stuff to find. "Perfect! Well designed, no lag and really fun. Recommended for those of you who like medium difficult puzzles." Ivefjord Studios is an independent game studio based in Sweden. More information on Ivefjord Studios, our logo & relevant media are available here.